Target $5 Moneymaker on Scrubbing Bubbles One Step Toilet Bowl Cleaner Starter Kit! How would you like to score a FREE Scrubbing Bubbles One Step Toilet Bowl Cleaner Starter Kit + make $5? Follow the simple instructions below to cash in on this Target deal and make sure to use the zip codes provided to print each coupon! 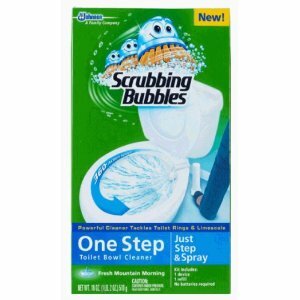 Purchase one Scrubbing Bubbles One Step Toilet Bowl Cleaner Starter Kit at $9.49. 2. Send the UPC from the package and the original cash register receipt with the purchase price circled. 58 Count Huggies Pull-Ups just $14.83 Shipped! Petunia Pickle Bottom Outlet 2 Day Surprise Sale Starts Tomorrow!